Anne Bowen Dabney (left) and Heather Barrie guide attendees through designing wreaths. Dabney and Barrie gathered many materials from nature—an inexpensive approach that lends a sense of place to a display. Workshop attendees are outfitted with supplies. 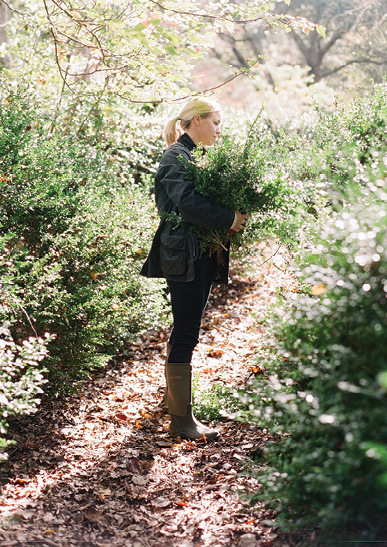 A workshop-goer puts together a spray of evergreen sprigs, including pine, sapphire cedar, and boxwood. ”It was amazing to get guidance from designers at the top of their game,” says Charleston garden editor Joan McDonald. 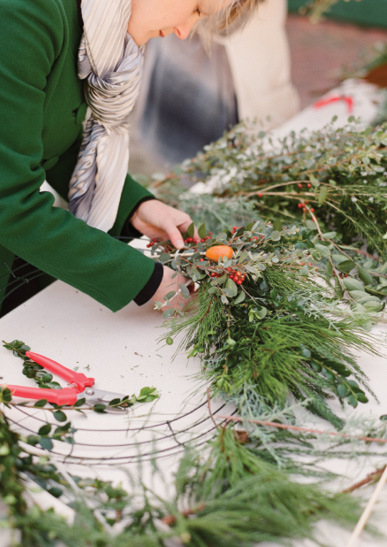 It’s best to layer on bundles of accent ingredients—like kumquats and ilex berries—before filling the form with greenery. ”An accent area is fun because you have versatility in how you hang it—centered or to one side,” says Barrie. 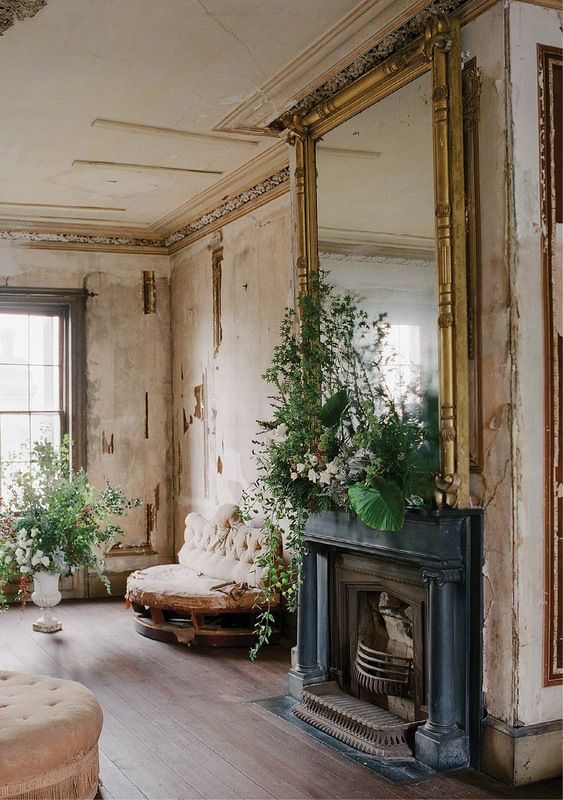 In the Aiken-Rhett’s second-floor drawing room, a mantel bursts with Japanese maple, trailing ivy, spray roses, dusty miller, nandina, elephant ears, and more. It all started with a 140-year-old letter that Historic Charleston Foundation’s director of museums, Lauren Northup, found in the archives of the Aiken-Rhett House Museum. “A friend of the Aiken family describes celebrating Christmas by cutting greens at their plantation and using them to make ‘wild arrangements,’’’ recalls Anne Bowen Dabney of Stems floral design studio. 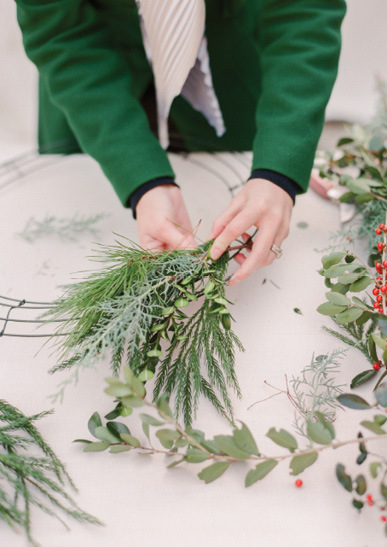 She and Heather Barrie, owner of Gathering Floral + Event Design, needed to hear no more. 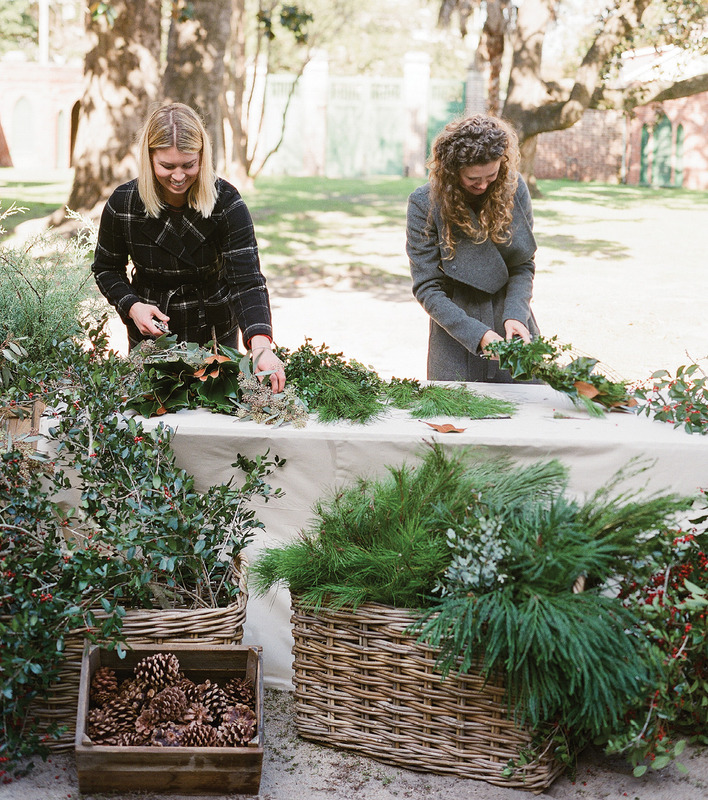 The pals, each tapped to make the grandest of events bloom (both were named among Martha Stewart Weddings’ Top Floral Designers last year), had established the Charleston Flower Workshop in May 2015 as a way to share two perspectives on their art form. 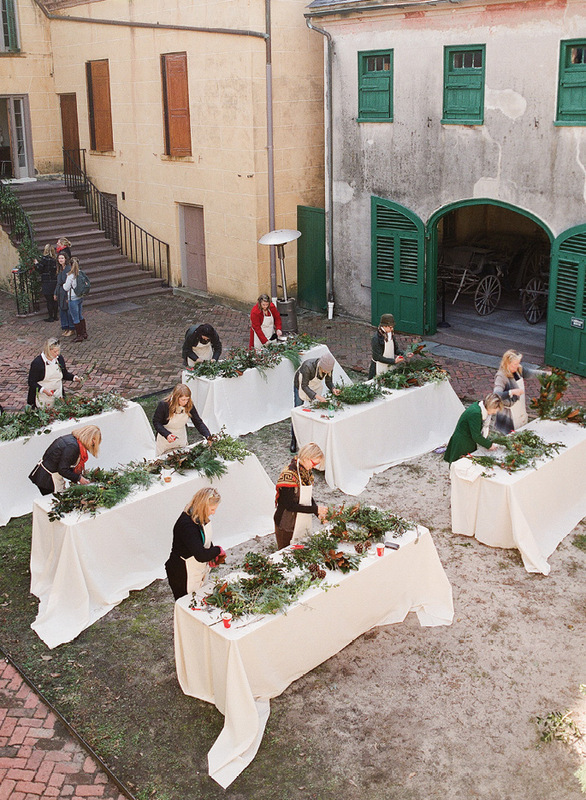 That December, they held their first Holiday Wreath Workshop outside the Aiken-Rhett, also taking guests into the circa-1820 residence for garland and mantel arrangement demonstrations. 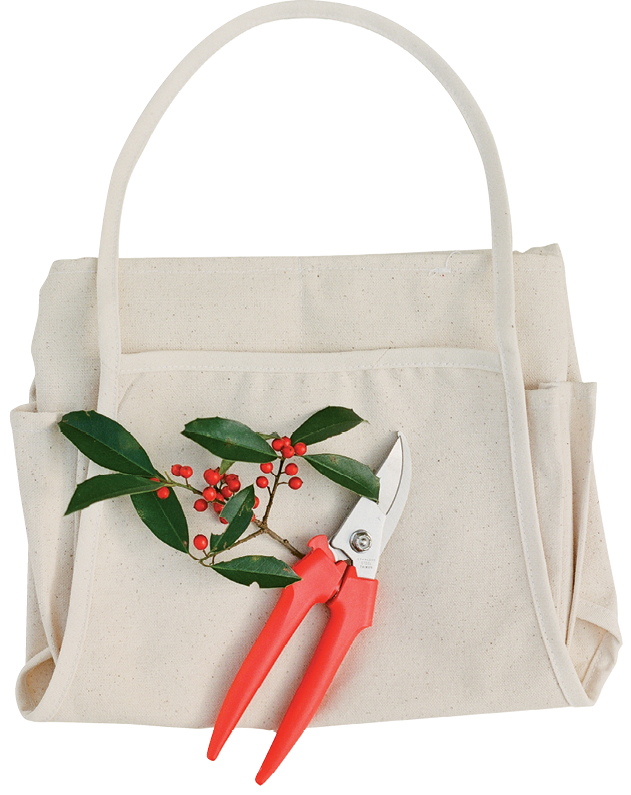 This December 3, they’ll once again cut greenery, berries, and fruits from the landscape and invite novices and pros alike to weave them into wreaths, offering plenty of pro tips—and holiday refreshments—along the way. 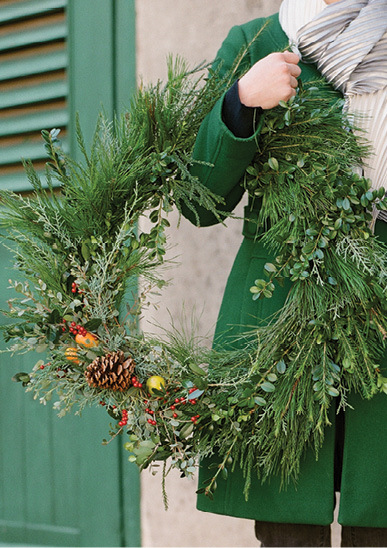 Attend the Wreath Workshop: On December 3, sessions are from 10 a.m. to noon and 2 to 4 p.m. at the Aiken-Rhett House (48 Elizabeth St.). A $150 ticket includes a house tour, instruction, materials, and light refreshments. 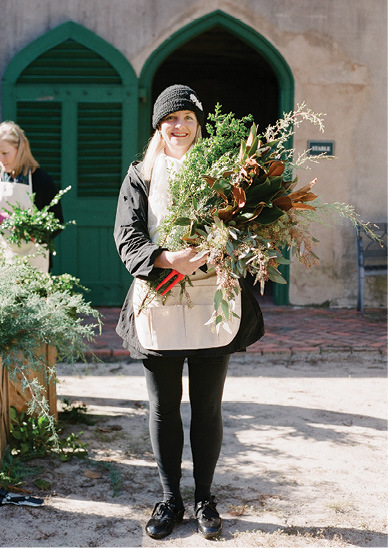 For details on all upcoming workshops, visit www.charlestonflowerworkshop.com.